We are a multidisciplinary research group dedicated to study the structure, functioning and dynamics of socio-ecological landscapes. With our research we hope to support agricultural and conservation management practices as well as decision making towards sustainable, resilient and inclusive landscapes aiming for the re-habitation of Colombia’s rural areas. 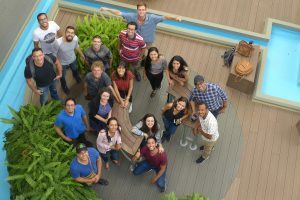 As research group we not only pretend to engage cooperation between scientists from the natural and social sciences to study current and upcoming environmental and conservation problems in Colombia, but also promote a productive and respectful dialog between academic, non-governmental as well as governmental institutions.